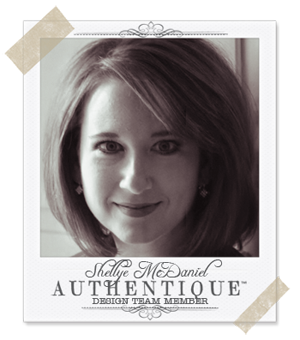 Shellye here with a couple of projects combining the beauty of the two companies...what a treat! with a cute little bauble! 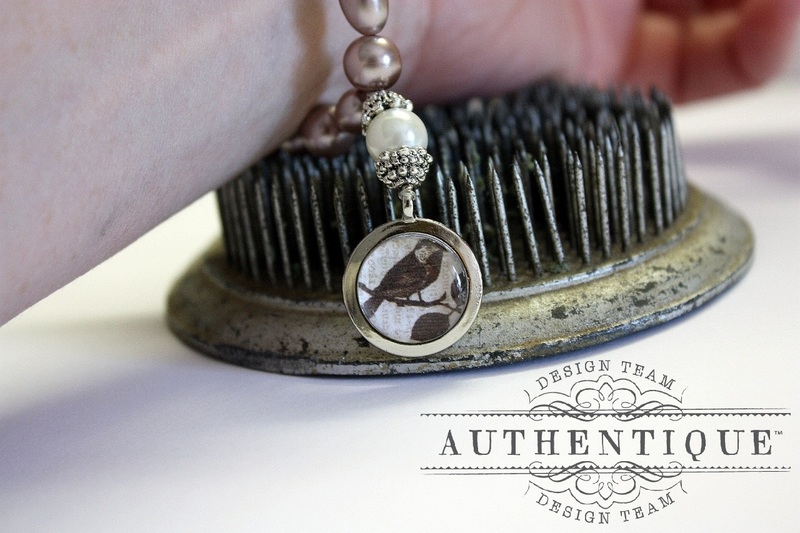 and a little "peek" of an upcoming collection, "LIVELY," with the adorable bird motif. Using a bit of jewelry wire, I looped the charm together along with a couple of spare mushroom caps and pearl from another old bracelet. That's it! Hangs just beautifully and is just the right amount of blingage! Next is a card of Carefree enjoyment! I love layering...I don't make a card that's flat, so you will notice that I've layered several different patterns from Carefree onto this card. I've used a scalloped punch, a circle punch and created a little pleating for the ribbon of paper that sits under the focal point. After hand-cutting one of the Carefree butterflies, I embellished it and the sides with three of the Epiphany Bubble Caps that I applied to bits of patterned paper. I use my sewing machine on almost everything, but I also added a hand-stitched X and two dashes in black to help establish that visual triangle that I'm so fond of. Gorgeous bracelet and card! LOVE those papers!! love this heavily textured card...the stitching is awesome and love the colour of this card the most! beautiful! The projects just keep getting more amazing each day! I love texture to any project and today's card is so inspiring. Great projects today. 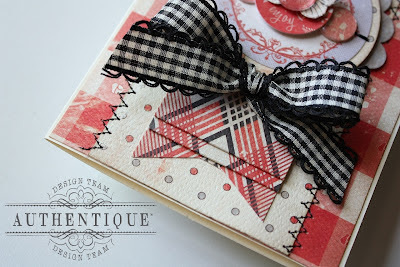 LOVE that card, so many gorgeous layers! Wonderful! 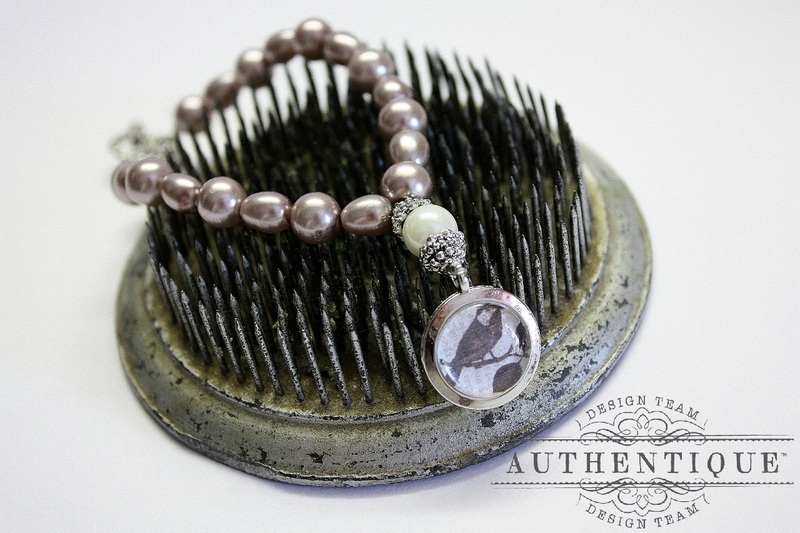 Sweet bauble on the bracelet, and I love the stitching on the card! Such a beautiful bracelet and card!!! Love all the layers on the card!!! Oh what a beautiful card!! 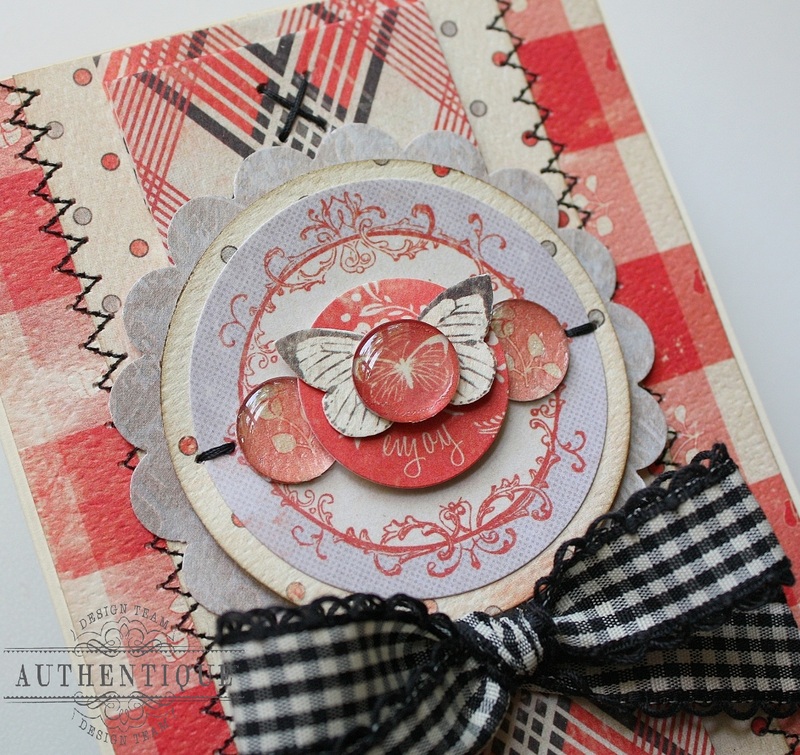 I love the butterfly and the black and white ribbon, and it has so much pizzaz with the layering! Shellye, your card is beautiful and i love the idea of dressing up a plain bracelet. so cute! That bracelet is beautiful! Love the reds in the card too. Love all the wonderful projects you guys are doing this week! What a beautiful bracelet and I LOVE that card! 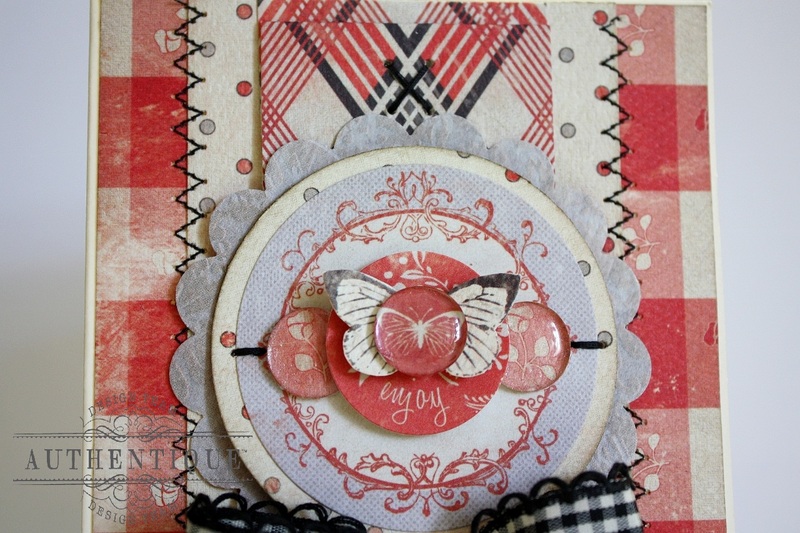 Being a card maker, I always love to see cards made and the way you incorporated the EC circles - gorgeous! 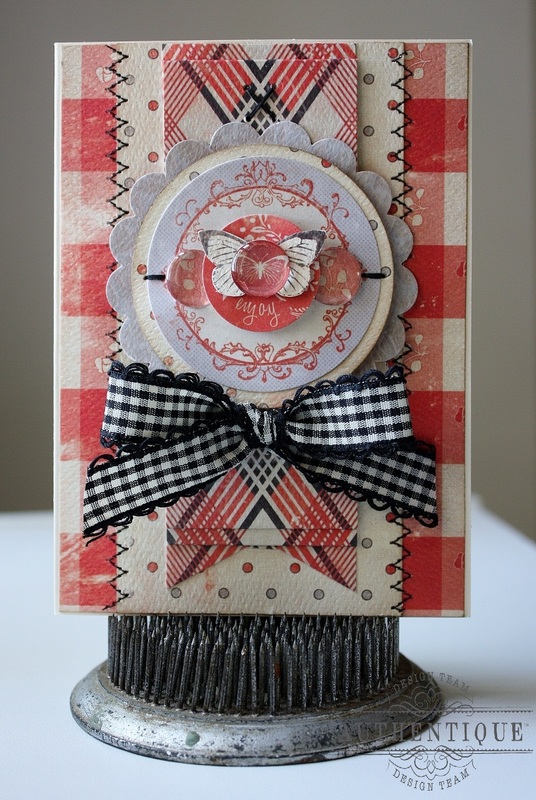 The layering on the card is to die for! What a beautiful creation you've made. I love how the Ephiphany epoxy pieces can be used for a variety of projects. Thanks for sharing. As I said on your blog gorgeous projects!!! I pinned them both! Lovely projects! Thanks for the inspiration! Great projects and I love the bracelet. I'm going to do that with my 2 little nieces. THey would love to "make their own" jewelry. The card was really cute too! I love the bracelet. The projects are adorable. Thanks for sharing! Wow! These are beautiful! I love the bracelet! Wow! Love your projects!! Am your newest follower! Came over from EC!